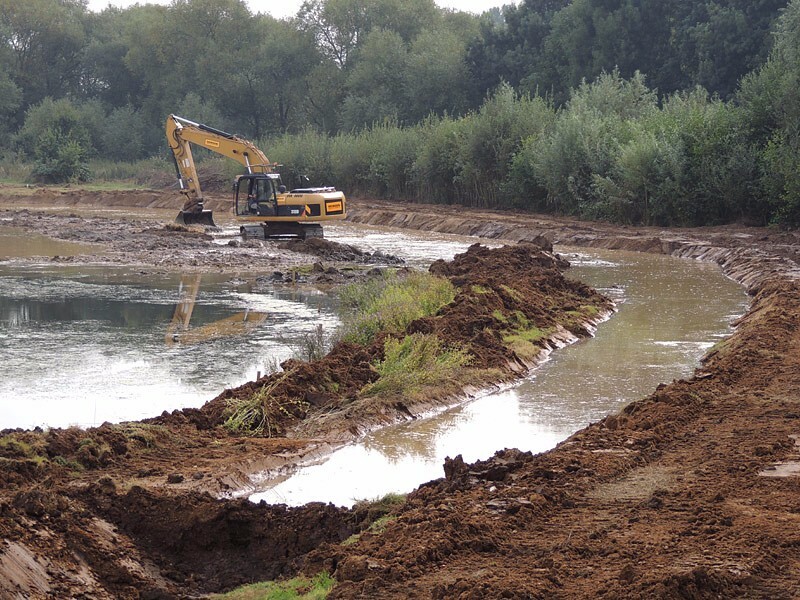 From 2006 the Friends of Lavell’s Lake (now Lavell’s Wetland Trust) has collaborated with Summerleaze Ltd on the restoration of the former gravel extraction site to the north of Lavell’s Lake and now manages the lake and its surroundings as a nature reserve. The lake has no public access and a degree of co-operation with the local farmers, helps underpin LWT’s conservation objectives for the whole site. 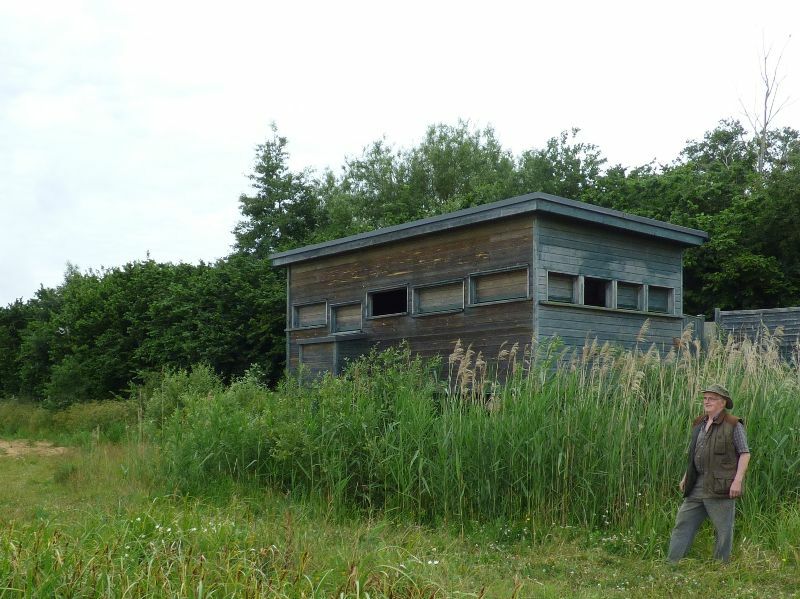 The site has gone from strength to strength, outstanding views looking East, can be obtained from the Ron Bryant hide built in 2009, situated along the River Loddon footpath 400 m downstream (North) of Sandford Lane. For security, the hide is locked when no member is present (members are provided with the padlock code). Non-members may visit the hide when it is open. In 2014 the SW corner was re-profiled and excavated to maximize the shallow water and muddy fringes and since then it has become a magnet for waders, dabbling ducks, herons and numerous other species visiting to drink, bath, or loaf. Now the SW corner is one of the best sites for passage waders in Berkshire, with 3-6 Green Sandpiper, 4-6 Common Sandpiper regularly from July to September, Islandica Black-tailed Godwit flocks occurring from late June and Greenshank into September. Spring wader passage has recently brought Whimbrel, Grey Plover and various other species in late April and May. Little Egret is a year round visitor and we have had our fair share of rare herons, 2-3 Great White Egrets, Glossy Ibis, Cattle Egret, Spoonbill and we hope it only a matter of time before we see another new heron species for the area. The grassland on the adjacent landfill site is used in winter by large flocks of Lapwing, Wigeon and Canada Geese. Late August, Wheatear are often seen perched on vents located on the landfill and it’s not unusual for Whinchat to perch on taller weeds into September, with Stonechat also making an appearance at this time and into October. Flocks of 30-100 Meadow Pipit also use the landfill on passage from early September, with Rock Pipit sometimes seen and heard flying over. 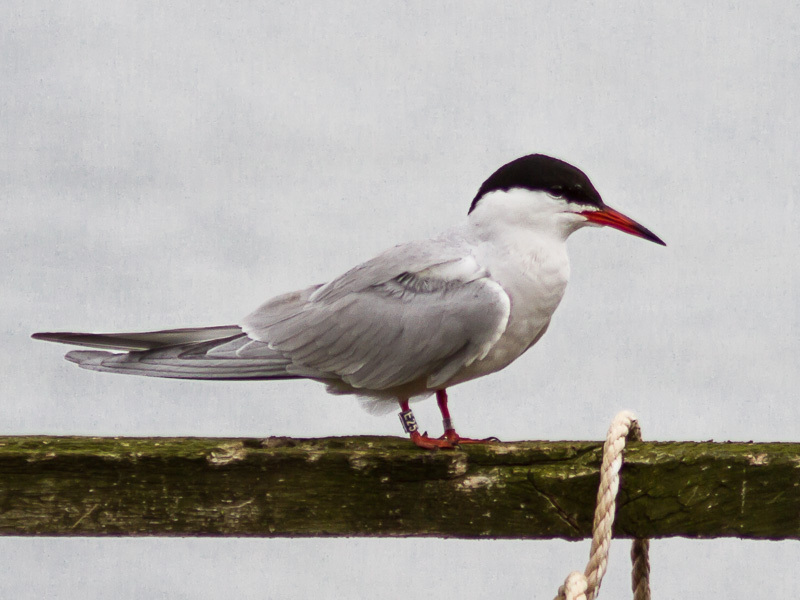 Common Terns and Black-headed Gulls breed on the island and on rafts and LWT has installed a Sand Martin bank and Shelduck boxes built on top of it in 2016, might bring further breeding triumphs in future. The wide views from the hide make it a good vantage point for picking up birds of prey, passage species annually include, Osprey, Marsh Harrier and Hobby, with Red Kite, Buzzard, Sparrowhawk and Kestrel being the most common, plus if you are to see a Peregrine anywhere, then over the landfill is the most likely, similarly sightings of Ravens are nearly all over the landfill and point towards nearby breeding since 2014. Hirundines are often first seen over the lake in spring and gather to their largest flocks in the autumn, Yellow Wagtails are hardly seen anywhere else in the area, but mostly flying over. In the colder winters, the lake itself holds good numbers of most of the wildfowl to be found at Dinton Pastures, but Wigeon numbers may be swelled considerably, rising typically to 500 and have exceeded 1000. Teal maxima have also risen here to 120-150 on a regular basis. Winter thrushes gather in good numbers on the landfill, with typically a few hundred Redwing and Fieldfare. There are smaller numbers of finches, but the feeders outside the hide attract a good number of birds of a range of species. Waders are attracted in all seasons, winter has brought Ruff, 1000+ Lapwing, 30-60 Snipe can be seen hiding along the lake edge and when icebound, both Dunlin and Curlew have roosted. Summer brings Redshank, Oystercatcher and Little-ringed Plover, and Lapwing breeding nearby also use the area.